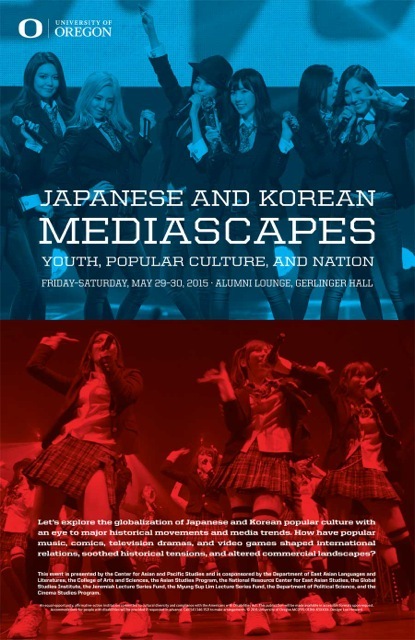 This two-day event will explore the globalization of Japanese and Korean popular culture with an eye to major historical movements and media trends. Through case studies of television dramas, video games, popular music, comics, and other media, we will investigate how popular culture, especially trends among youth, has shaped world views, defined artistic genres, and altered commercial landscapes. We will question how this cultural exchange can soothe historical tensions and help lead to better political relations. 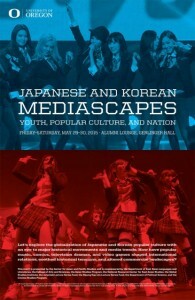 This is one of the first conferences at the University of Oregon or elsewhere to examine Japanese and Korean popular culture together. 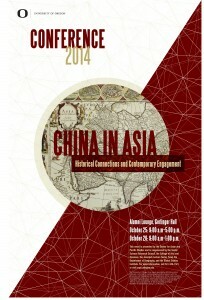 Sponsored by: The Center for Asian and Pacific Studies, and is cosponsored by the Department of East Asian Languages and Literatures, the College of Arts and Sciences, the Asian Studies Program, the National Resource Center for East Asian Studies, the Global Studies Institute, the Jeremiah Lecture Series Fund, the Myung Sup Lim Lecture Series Fund, the Department of Political Science, and the Cinema Studies Program. Oregon’s team worked with 40 Japanese and international faculty members from eight Japanese universities to improve their English presentation skills and learn about evidence-based best teaching practices, focusing particularly on making the classroom more interactive. Lee Rumbarger, Director of the Teaching Effectiveness Program (TEP); Trish Pashby, Senior Instructor at the American English Institute (AEI); Georgeanne Cooper, Former Director of the Teaching Effectiveness Program, and Elly Vandegrift, Associate Director of the Science Literacy Program (UO-SLP) co-facilitated the workshop. Highlighting the international nature of the G-30 initiative, the faculty participants were from 15 nations. CAPS Director Jeff Hanes accompanied the team, providing on-the-ground logistical support for the program. CAPS Assistant Director Lori O’Hollaren supervised planning of the operation, and East Asia Coordinator, Yifang Zhang, worked with organizers at Nagoya University to fine tune workshop organization and logistics. The workshop weekend included small- and large-group sessions like “Interactive Lecture Techniques,” “Teaching in English,” “Teaching to a Diverse Student Audience,” “Learning Objectives and Backward Design,” and “The External Brain.” Each participant delivered a 10-minute mini-lecture in their fields of expertise incorporating interactive lecture techniques. 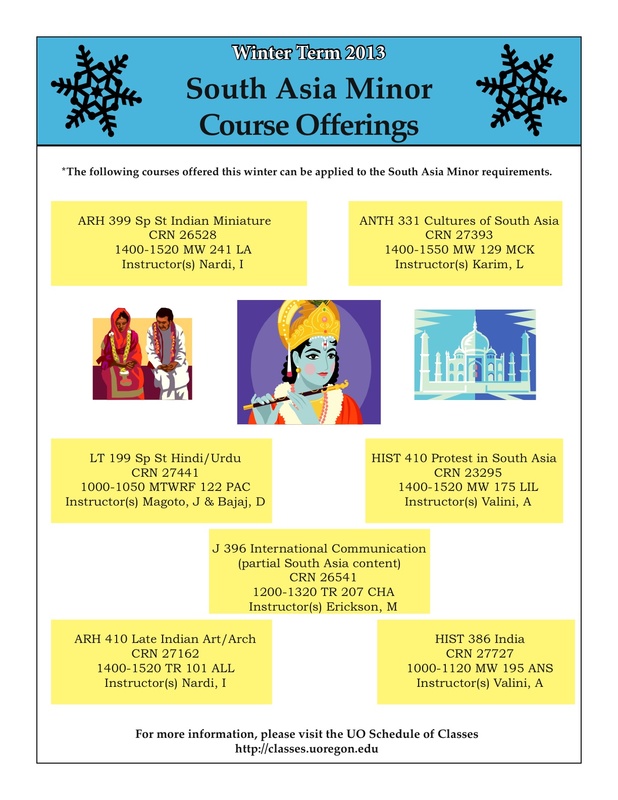 The UO facilitators have expertise in each of these areas and offer training opportunities to graduate students and faculty at the UO on these topics. During a closing discussion, participants articulated ideas from the workshop they planned to experiment with to incorporate big- and small-scale revisions in their own courses, such as incorporating midterm course evaluations, “minute-papers,” i-clickers, in-class demonstrations and a range of peer learning activities. UO’s faculty development relationship with this group began in 2010 when CAPS paired TEP and AEI with administrators and faculty from Nagoya University looking to improve teaching on their campus. Over the past three years, 18 Nagoya University faculty and administrators have participated in multiday training programs on the University of Oregon campus. 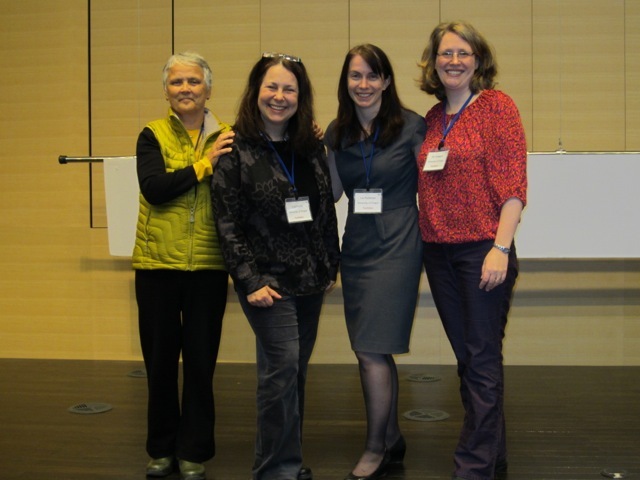 The March 2013 program was the first time that faculty from TEP, AEI, UO-SLP, and CAPS have been invited to Nagoya University to facilitate a workshop on that campus. Peng will talk about urban planning process in China, Chengdu urban-rural integration plan, Chengdu world garden city plan, and Chengdu ecological system plan. 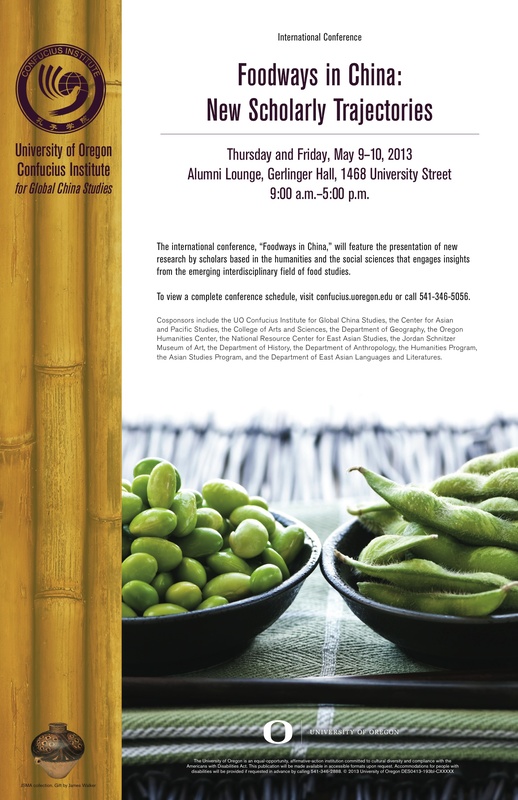 The SCI China visiting scholar program offers opportunities to scholars and practitioners from China to come to Oregon to conduct applied research on planning and design strategies for sustainable urban development. Mr. Peng Tang is the first “graduate” of this program. He spent the past 9 months in Eugene and Portland auditing classes, conducting literature research, and participating in professional activities. Peng is the Vice President of Chengdu Institute of Planning and Design. His previous research includes analysis of Chengdu spatial structure, study of the urban and rural form of Chengdu, Chengdu-Chongqing Urban Agglomeration Coordinated Development Planning, and etc. Peng holds a master degree in Urban Planning and Design from Tsinghua University, two Bachelor degrees in Economic and Urban planning from Peking University. Please RSVP to Hong Wu if you plan to attend.